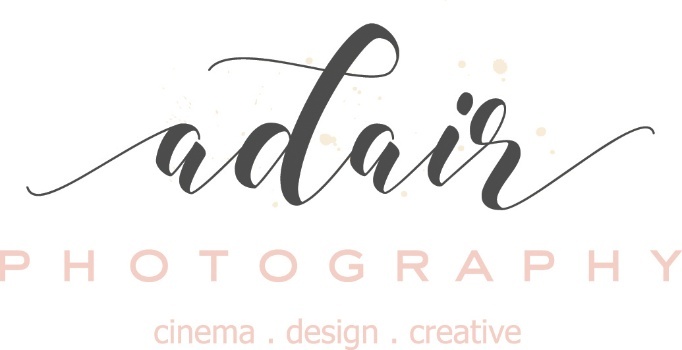 "Welcome to Adair Photography, the Texas Panhandle's most sought after studio!" "We strive to create the perfect portrait, produce high-end products, and care for each custom investment. Above all, we provide our clients with a personalized photography experience from start to finish. " "It was a perfect experience!! One that could only be achieved by true professionals. I will forever cherish these times and the memories of my family they were able to capture." "Adair Photography is incredible. They treated my senior and our family with tremendous care, respect and consideration. They take the time to get to know the individual, so the pictures reflect the person beautifully. We could not have chosen better professionals for this once in a lifetime experience with our graduate. I wouldn't go anywhere else!" Wrapped with white in her elegantly timeless dress, Karissa walked down the aisle with dad by her side. The entire venue fell silent as they watched her make her way towards her forever person. On either side of the aisle, surrounded by close friends and beloved family they both said "I do." From the looks of this Sandie's senior session, you would have thought we were actually photographing the newest winner of America's Next Top Model. We actually had to pinch ourselves a couple of times to make sure this gal wasn't a dream! This little lady is already so wrapped in love. Being the new addition, and this cute, can definitely have it's perks! It's special moments like this we cherish when we capture the baby's first memories with mom and dad - After all they don't stay this little, or still for very long! Business is hard. There are moments of uncertainty, hardship, and much needed patience - But it's times like this it all works out exactly how it should. Like when a night like last night happens! You sit there and wait for the winner to be called, completely frozen, and then you hear your business's name (AGAIN) and it all makes sense. God is good. All the time. Our journey of photography and providing all with a true experience is forever our destiny. And thanks to you Amarillo, we are living out yet another dream and another opportunity! There is never an easy way to achieve your dreams. You shoot high and fail again and again…and again. Until one day, like today, happens. You get that envelope in the mail and it holds everything you’ve ever worked towards. Recognition. But not the recognition you may be thinking of. Not the awards, the prizes, or the dinners, it’s knowing how many people support us and our dream team! God is good - all the time. To our husbands, our families, our friends, and our clients, we love y’all. Without these people we wouldn’t be where we are today. What started off as two gal pals taking some pictures has developed into something that goes way beyond a job. Its a passion and it’s our fate. We are so blessed to have been given this opportunity. So here is to us, here is to THE BEST OF AMARILLO! The American Advertising Federation of Amarillo has recently awarded our hard-working creative team with this magnificent achievement. By accepting the 2018 ADDY Award for Magazine Design, we can't help but feel truly blessed. Thank you to all of those who took part in recognizing our passion for our Adair Senior Model Team and the all of the design behind it!